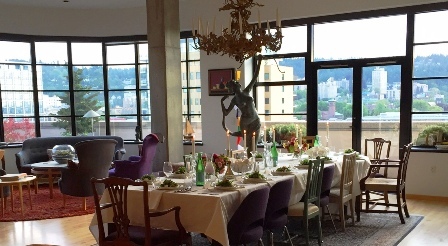 The Pearl District Penthouse of Gun Denhart is a perfect location to impress the important major donors of Mercy Corps International. The intimate fundraising dinner was personally prepared by Exec. Chef Tamara Kay and served by our uniformed staff. 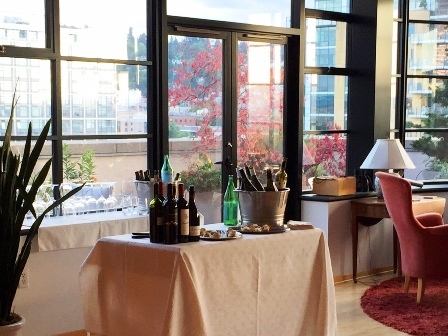 Highly rated wines from around the world were featured to meet the experienced palettes of the guests. The reasonable pricing of Voila Catering’s beverages allowed Mercy Corps to provide quality wines while being frugal with the budget. 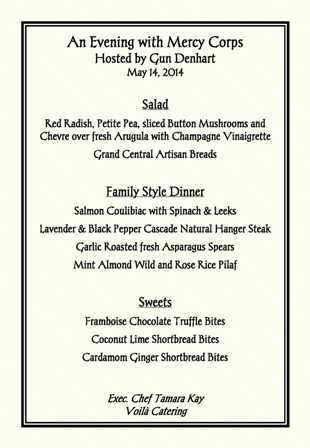 The custom dinner menu created by Chef Tamara reflected Gun’s personal style of casual food. The family style service brought a feeling of belonging to the guests and with the Mercy Corps staff. 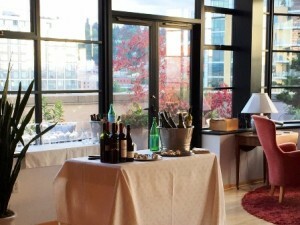 The views of the Portland hills delighted the guests and with all the food being cooked on-site, the food quality matched any Pearl District restaurant. This fundraising dinner for the major donors of Mercy Corp finished with the service of Italian Coffee and a variety of sweet chef-baked treats!